PERINDOPRIL AN is indicated for: the treatment of heart failure. In such patients it is recommended that PERINDOPRIL AN be given with a diuretic and/or digoxin under close medical supervision. (The safety and efficacy of PERINDOPRIL AN has not been demonstrated for New York Heart Association Category IV patients),PERINDOPRIL AN is indicated for: The treatment of hypertension;,PERINDOPRIL AN is indicated for: Patients with established coronary artery disease (See Clinical Trials) who are stable on concomitant therapy and have no heart failure to reduce the risk of non-fatal myocardial infarction or cardiac arrest. 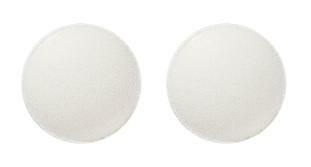 A white round biconvex uncoated tablet, 5mm in diameter and 2.45mm in depth. PERINDOPRIL AN is indicated for: The treatment of hypertension;,PERINDOPRIL AN is indicated for: the treatment of heart failure. In such patients it is recommended that PERINDOPRIL AN be given with a diuretic and/or digoxin under close medical supervision. (The safety and efficacy of PERINDOPRIL AN has not been demonstrated for New York Heart Association Category IV patients),PERINDOPRIL AN is indicated for: Patients with established coronary artery disease (See Clinical Trials) who are stable on concomitant therapy and have no heart failure to reduce the risk of non-fatal myocardial infarction or cardiac arrest. 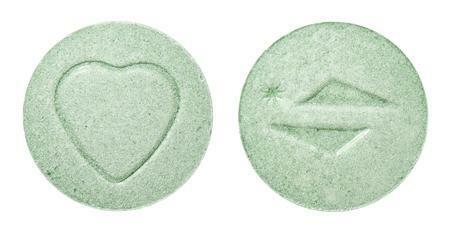 A green, round, biconvex, uncoated tablet engraved with an open heart symbol on one face and the Servier logo on the other face. A white elongated rod shaped biconvex uncoated tablet with rounded ends, being 8mm long, 4mm in width and 2.75mm in depth with a breakline scored on both faces. Angioedema refers to rapid fluid accumulation causing swelling (oedema) of the skin and tissues. It can lead to airway obstruction and suffocation. Dementia or Alzheimer's disease may be prevented with blood pressure lowering therapies (antihypertension treatment) and other heart health measures. When blood pressure is consistently high it can lead to complications such as a heart attack (myocardial infarction) or stroke. Both peripheral arterial disease (PAD), a condition that affects the blood vessels (arteries) carrying the blood to the legs, arms, and stomach area, and high blood pressure (hypertension) are associated with atherosclerosis. This is hardening of the arteries which is caused by deposits of fat, cholesterol and other substances inside the blood vessels. PAD is diagnosed when the blood supply to the legs is restricted causing pain and cramping that limits walking (intermittent claudication). It is measured by the walking distance (on a treadmill) before onset of pain (claudication distance) or ankle brachial index (ABI), the ratio of the blood pressure in the arms to the blood pressure in the legs. If the blood pressure is lower in the legs compared to the arms (ABI of less than 1.0) this indicates blocked arteries in the legs (or PAD). PAD can progress to pain at rest and critical limb ischaemia (sudden lack of blood flow to a limb caused by a blood clot or fatty deposit blockage) that requires revascularisation (restoring the blood flow by opening up the blocked blood vessel) or amputation. Treatment of hypertension to reduce cardiovascular events (heart attack or stroke) and death needs careful consideration in people with PAD. Anti-hypertensive medications may worsen the PAD symptoms by further reducing blood flow and supply of oxygen to the limbs, and may have long-term effects on disease progression. The evidence from randomised controlled trials (RCTs) examining the risks and benefits of various anti-hypertensive drugs on measures of PAD is lacking.